An Australian firm announced late last week that it had been given government approval to begin construction of a kaolin mining operation in the southwestern portion of the country. Sydney’s Tellus Holdings advised investors that it now has in hand the environmental approvals necessary to conduct mining operations at Coolgardie, 350 miles east of Perth. 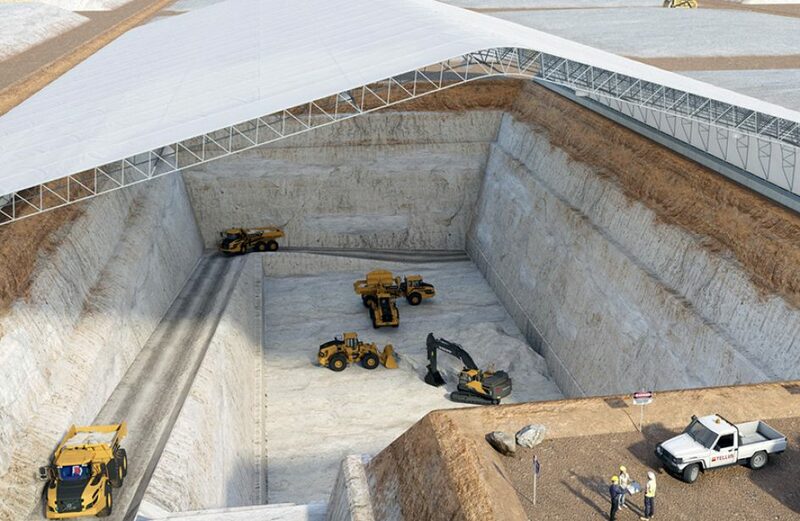 The firm anticipates beginning production at the site next year, which will consist of an open-cut kaolin mine followed up by an arid near-surface geological waste repository upon depletion of the mine. In comments to local media, Tellus managing director Duncan van der Merwe indicated that contracts for the project would be revealed this week, and that construction would last 14 months. He continued by noting that the dual revenue streams of kaolin production and hazardous waste disposal are making it possible to tap into an industry on the wane. “If you go back 15-20 years ago we had about 20 kaolin clay operations around Australia, predominantly in Victoria, and over time they have become less and less with now only a handful of them left,” he explained. Tellus says the site’s construction will likely employ 100 workers, ramping down to 80 during peak production, with another 71 workers staffing a nearby accommodation camp. Hiring is expected to commence later this year.